Mixed Rice! Is there anything better? 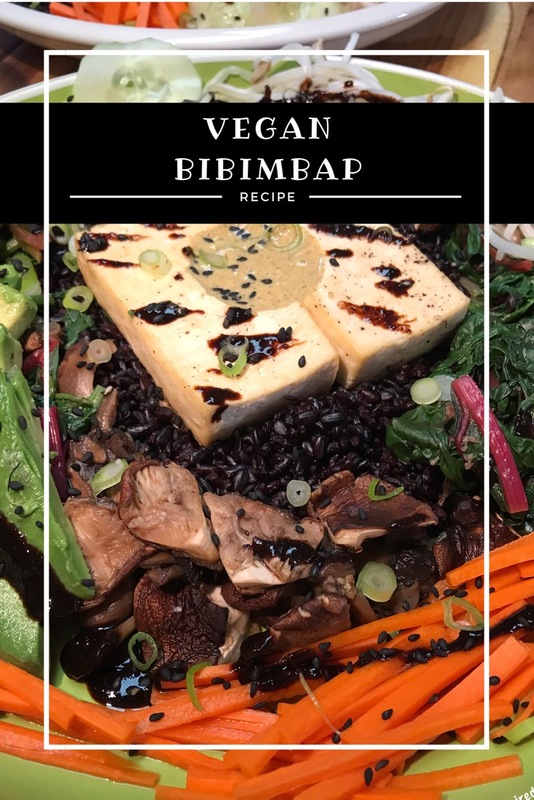 The Korean dish “bibimbap” means mixed rice and is one of our favorite recipes, so of course, we needed to create a VegInspired Vegan Bibimbap. Components are prepared separately and mixed before eating; I know when I open my Chipotle Burrito Bowl, the mix is the first thing I do! 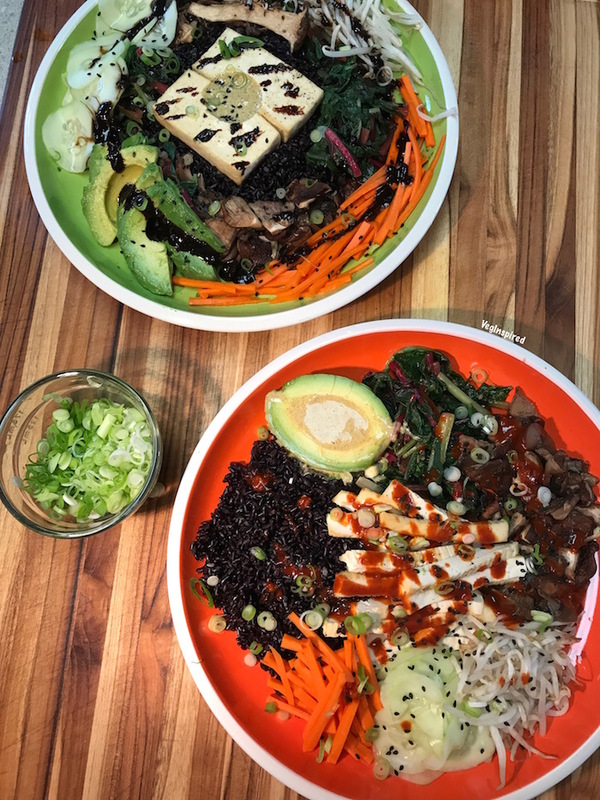 One of our vegan mentors, The Vegan Zombie, introduced us to Bibimbap! 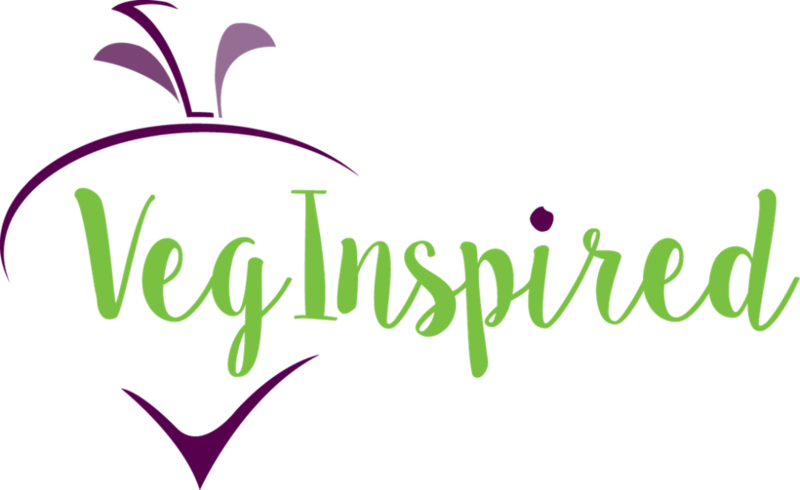 I like to call the vegan YouTube folks who inspired our adoption of a vegan/plant-based lifestyle mentors. Their countless videos and recipes and “day in the life” or “what I eat in a day” videos made a huge impact on us and inspired us every day. As many of you know, we subscribe to a local organic CSA that provides us with a bountiful box of fresh produce each week. 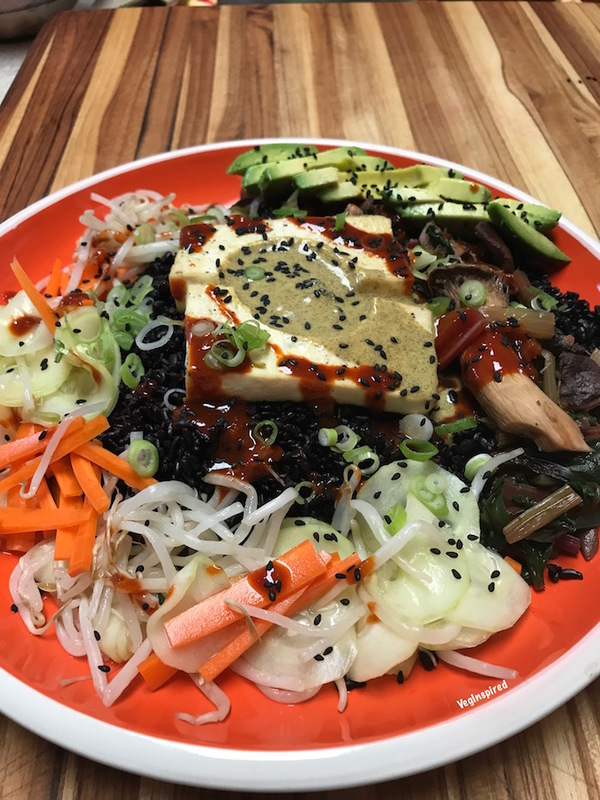 This week we planned to make The Vegan Zombie’s Bibimbap as we have many times before, so we grabbed our cucumbers and mung beans. 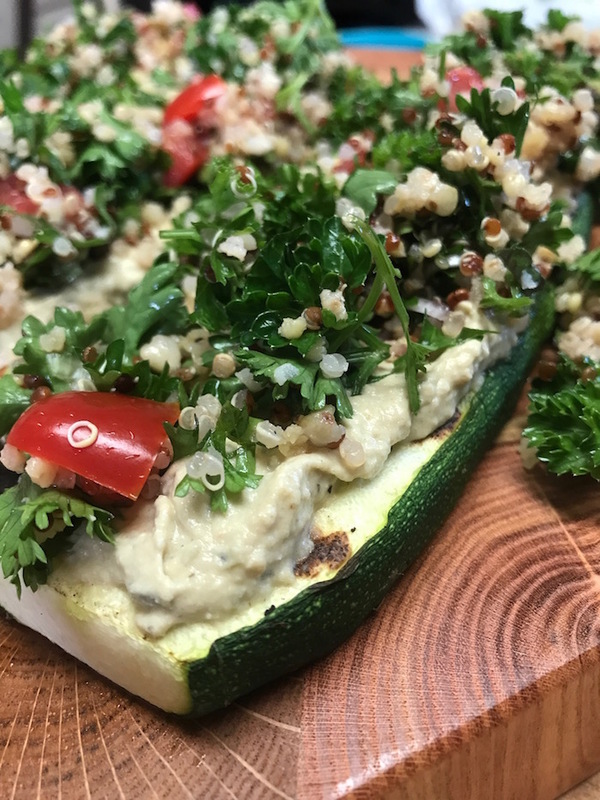 Their version [that we often make] is made with fresh raw veggies and is delicious. When the time came to execute, we realized we had a bunch of chard and a whole box of mushrooms that had to be used. 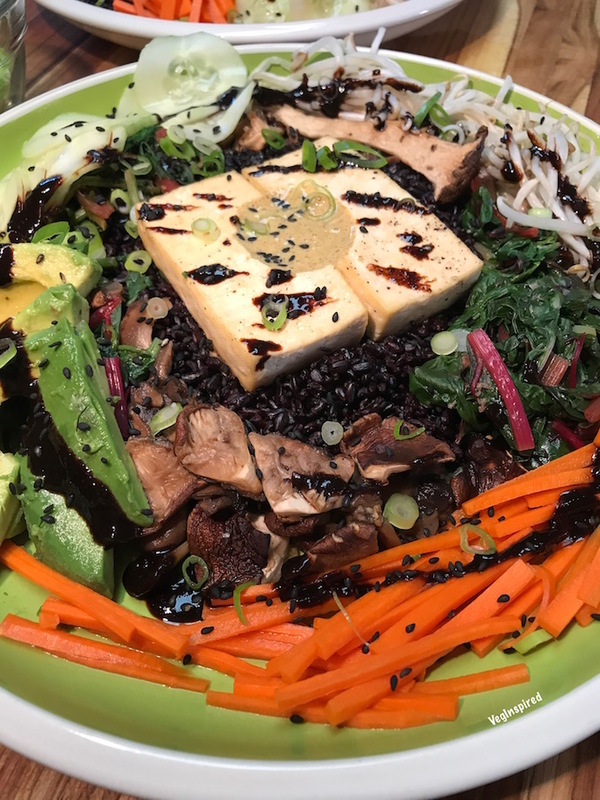 We debated changing our entire meal plan, but instead, we decided to modify our raw version and create a unique Pennsylvania CSA inspired cooked Vegan Bibimbap. 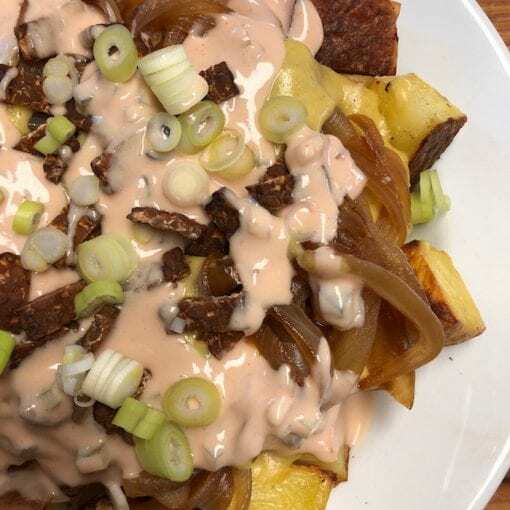 We even let our vegan yolk sauce make a cameo. 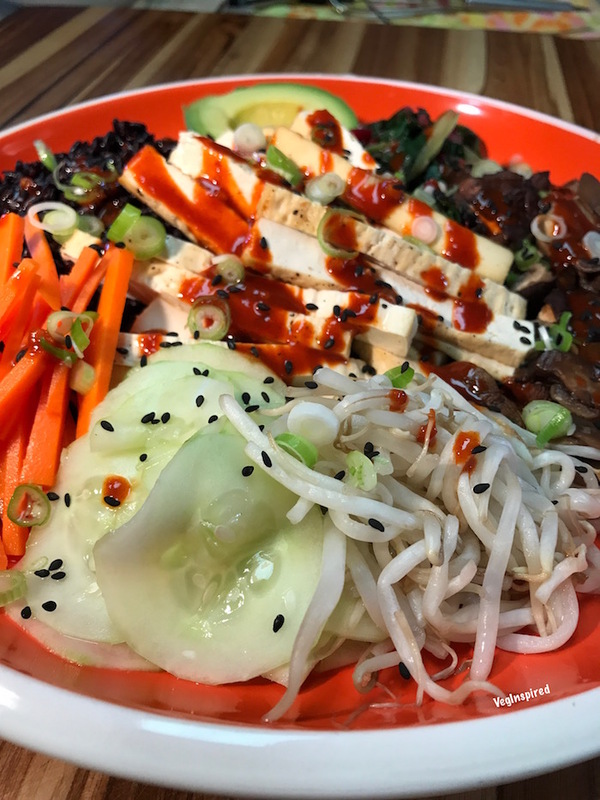 Some of the traditional components of Bibimbap are gochujang (a fermented pepper hot sauce), doenjang (a fermented bean sauce), sautéed vegetables, and a fried egg. 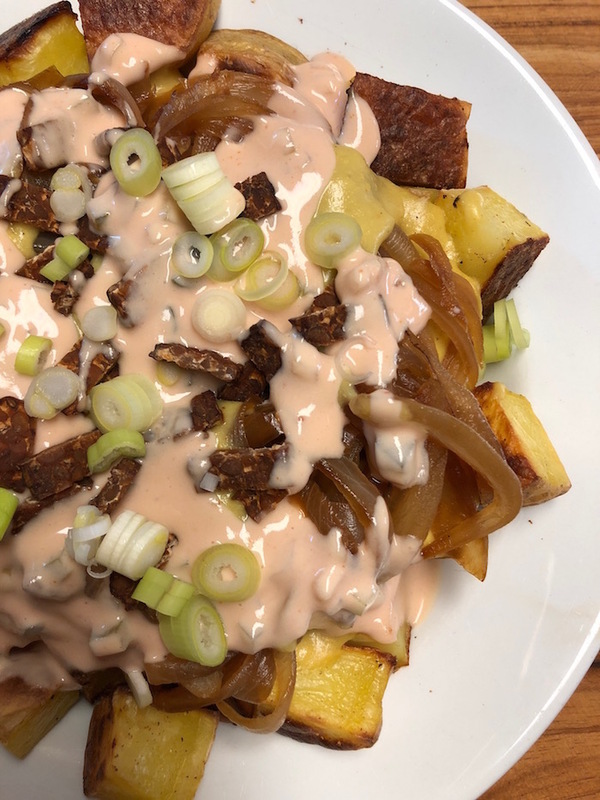 Well, we obviously did NOT consider a fried egg, but our vegan yolk sauce very nicely and deliciously added the qualities that an egg would give without any cholesterol. We also used forbidden rice, which if you haven’t had it, I highly recommend you try it. It is mild and nutty, packed with antioxidants and anthocyanins like blueberries, and it is black – creating great color combo possibilities in any dish! 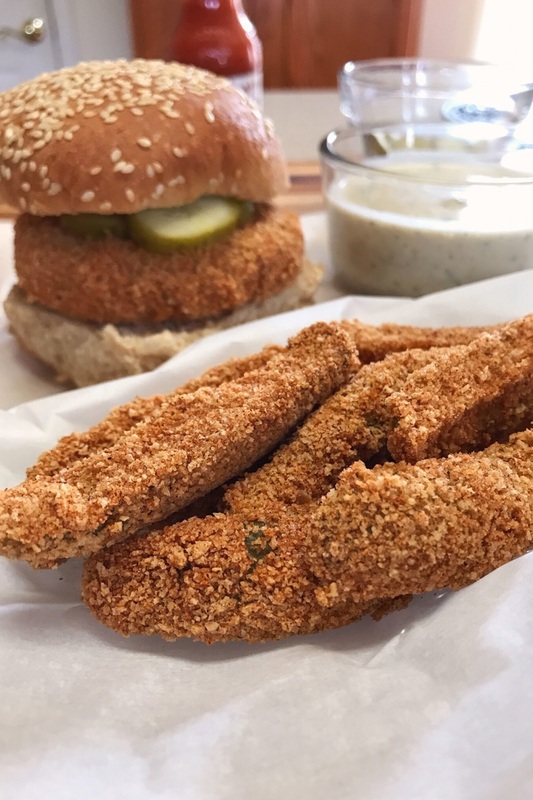 This vegan version will knock your socks off! For pickled vegetables: Toss/dress mung bean sprouts, carrot, and cucumber in seasoned rice vinegar; and set aside. 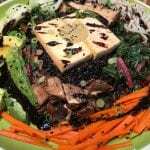 Sauté chard greens over medium heat in a large skillet using a splash of water as needed until soft; add greens, one of the soy sauce mixtures, and a splash of water to disperse; cook briefly until the greens are wilted and tender; set aside. Sautéed mushrooms over medium heat until lightly browned; add the remaining soy sauce mixture and a splash of water to disperse; cook briefly until almost dry; set aside. 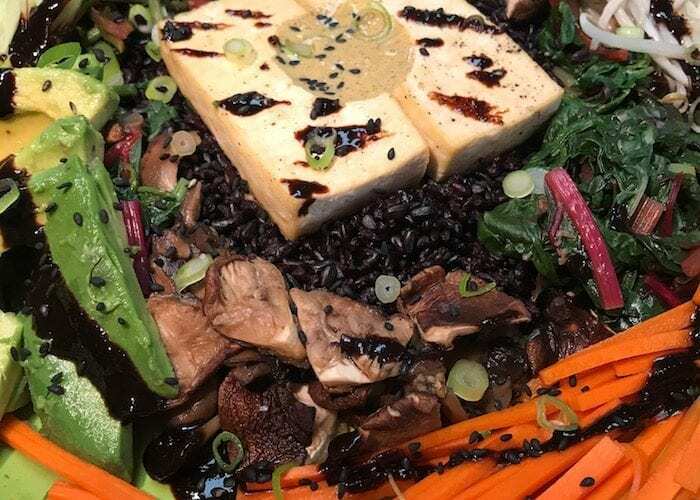 Make a plate or bowl by adding rice, tofu, mushrooms, chard, pickled vegetables, and garnishes; serve with doenjang, gochujang (careful it's spicy! ), and yolk sauce; mix with a spoon and enjoy! Want some laughs? Watch our Mukbang Video eating this deliciousness!